"They do have a small selection of plants suitable for terrariums, as well as all sorts of neat miniature things to add that I have had quite a hard time finding elsewhere." 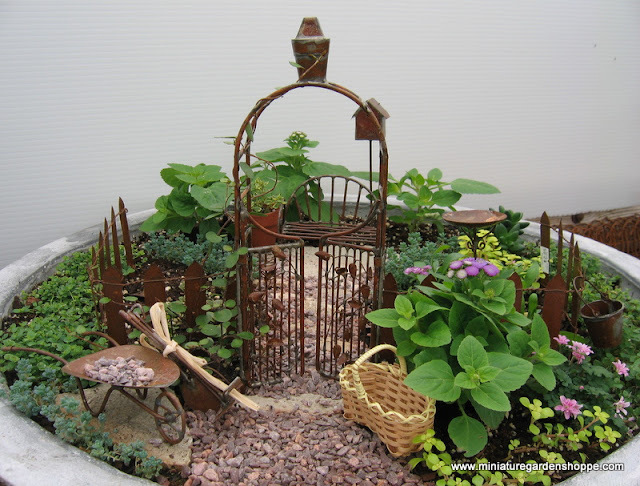 I love the tiny fences and garden accouterment - squee mini wheelbarrow! Most gardeners have seen the effects of aphids. We often times cringe when we discover a plant with slightly stunted growth and turn over a leaf only to find an army of green or white teardrop shaped little bugs feasting away. Aphids love to eat our plants and there are several bugs out there that in turn, love to eat aphids.